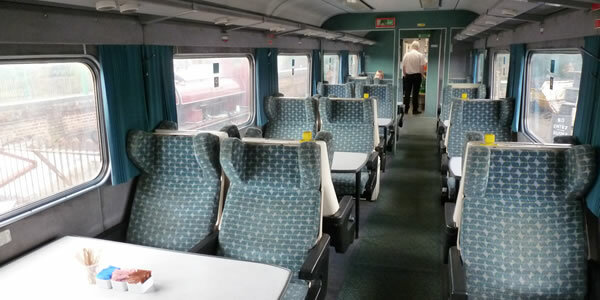 Railway for Hire has one of the widest selections of rolling stock, and has accommodated many requests for modern train scenes. These have varied from Richard E Grant’s character committing suicide, through to adverts for major banks and the BBC, all set within present day surroundings. 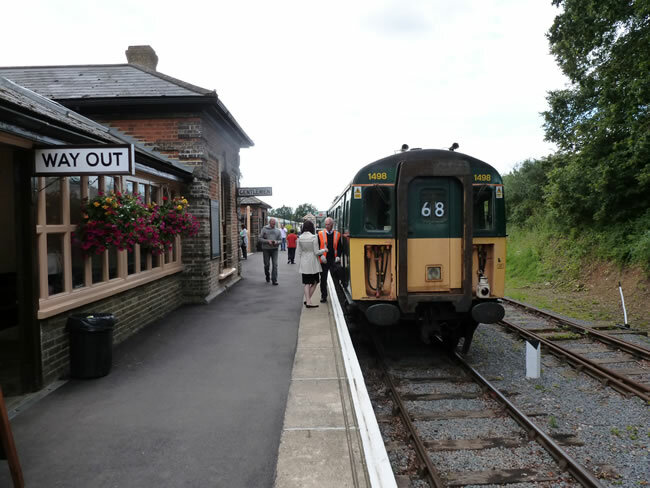 Our longest platform at our middle station has been carefully constructed and maintained to ensure that it is “unfussy” and can easily represent a platform anywhere in the country, with a rolling field backdrop to one side, and an industrial railway yard type scene to the other. Working with your art department, platform benches and modern adverts can easily complete the scene to represent today’s railway. Filming inside one of our modern coaches. A railway wouldn’t be complete without its rolling stock, and we have one of the widest ranges for you to select from, to exactly match your script. 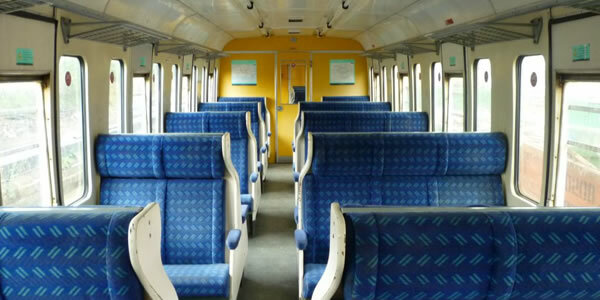 We have coaches refurbished in the 1980’s, representing Network South East and modern suburban units complete with modern tube and network maps on the walls. 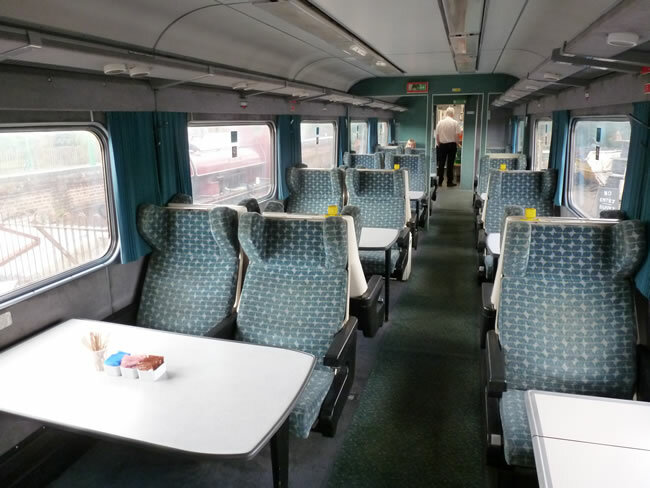 We even have a standard and first class coach, both examples having recently come straight out of service on “Intercity” type trains working the length and breadth of the country. We have TWO electric type units, complete with operational cab ends. 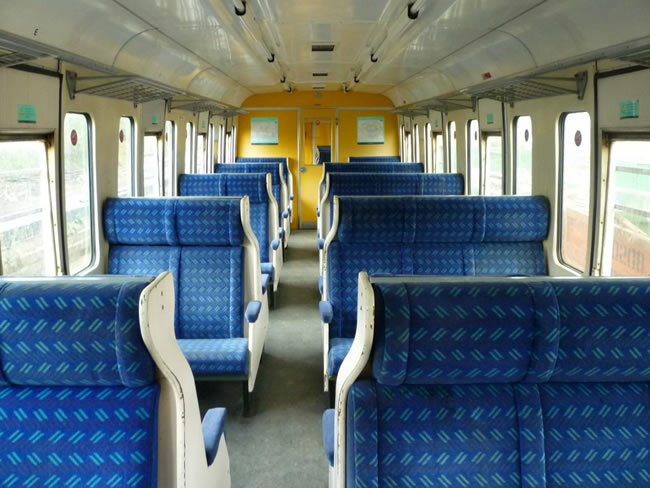 One of these is self propelling and the interior has a very suburban feel, the other can be paired with one of our powerful diesel locomotives powering from the rear. 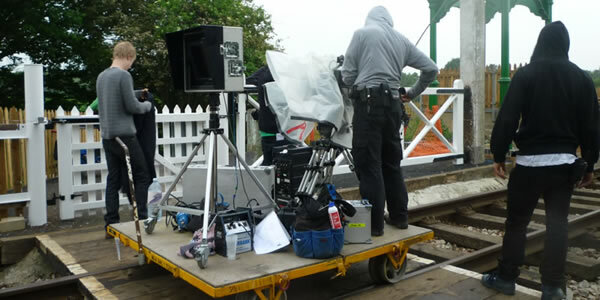 Both of these are used to represent a modern electric commuter unit, without any of the safety concerns, restrictions and at a fraction of the cost of filming on the mainline. We have two different sized stations, a large and small. 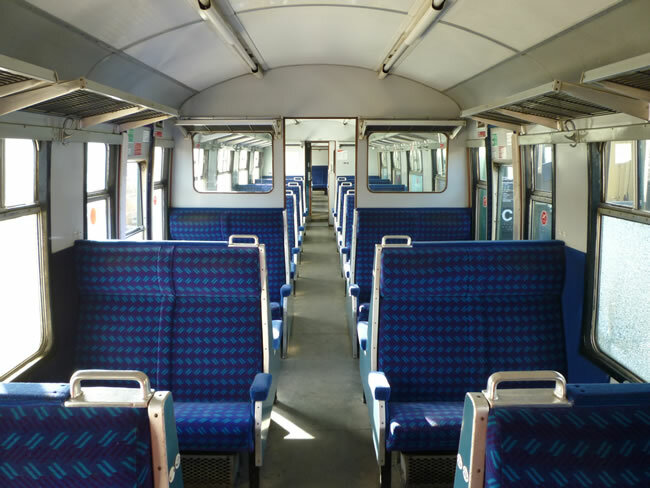 We have a number of different length platforms, one platform can accommodate 6-7 coach trains, and a shorter 4 coaches. Additionally at both stations there is a bay to one side, where a connecting branch line train can be positioned and a shunting area, where engineering or goods wagons can be placed. There are long views up the track in both directions, a footbridge connecting the main platforms and the station has signals at the end of many of the platforms. 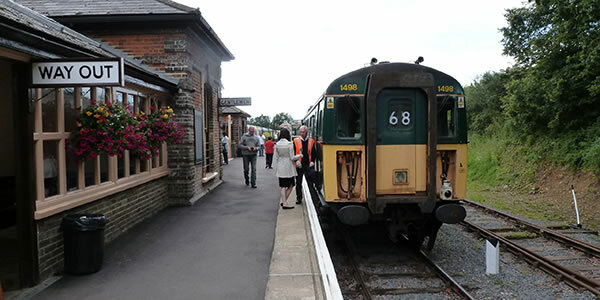 The station has unspoilt countryside vistas to 3 sides, and a fully operational level crossing at one end of the station, complete with white swinging gates, which is not on a public highway, allowing for complete control over the scenes and action without needing to apply for road closures. 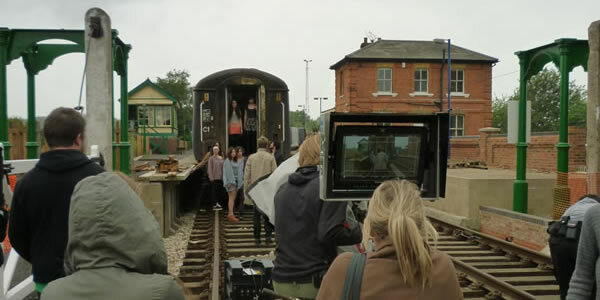 Filming a music video (the line had been suspended from service for the day and all train movements halted). 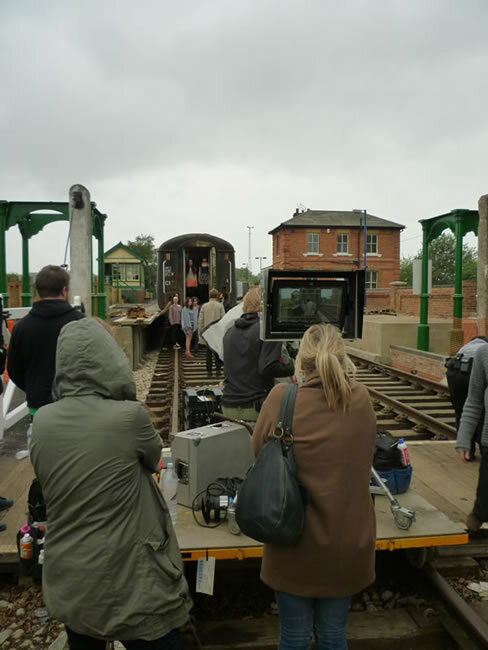 Our railway is over 6 miles, and so offers many different scenes, to both film scene setting footage, or film characters involved in lineside action. The line passes over and under a number of bridges, from single arch types, through to our 5-arch viaduct. Despite being within a stone’s throw of London, the branch runs through both rolling farmland, occasional farm buildings, through deciduous forest and is by no means flat! Our line is quite steep in places, and so locomotives can be seen hard at work. We even have a remote modern lineside building, which is can represent a worksite location or hideaway. As well as many curves, uniquely we also have two locations where the line is dead straight, meaning the atmosphere can be built by seeing the train approaching from the far distance. One of these is level and the other the train can be seen working up the steep incline. 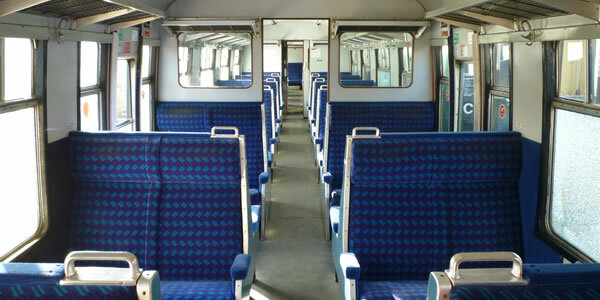 Along several sections of the line are colour-light signals, including examples that recently been donated by mainline operators, and so can replicate a modern lineside location. Our line passes beside a number of backs of houses and under the M11 via a modern bridge opening, which represents a modern scene completely covered with graffiti that is regularly repainted. We also have locations where the line is on an embankment, and where it passes through cuttings, to match your script requirements.